I suppose you can tell that, once upon a time, this used to be a nice villa (no longer the case). Additionally, the views are quite good. Other than that, this place and its management was an absolute disgrace. The host met us at the front of the house and let us in right away at 12:00 for an early check in and let us check out at 1:00. They are very nice and easy going! 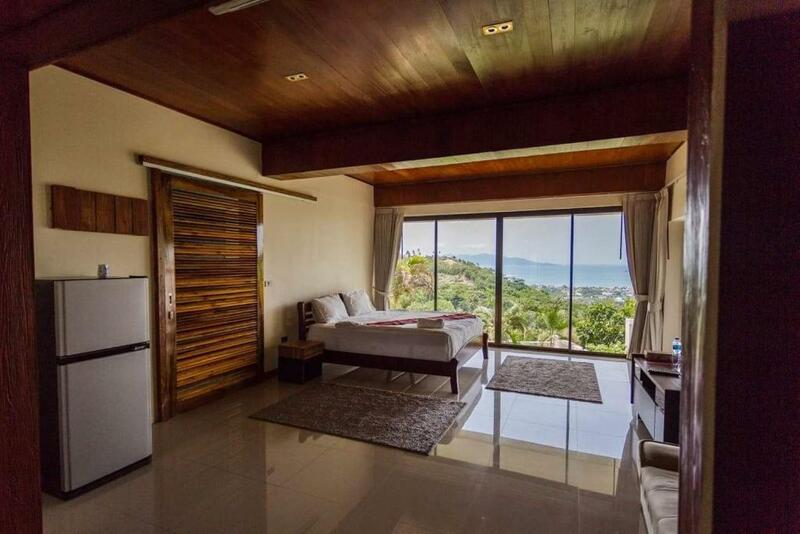 The villa is located on a hill top so the view is breathtaking . Its an amazing property with every facility you can ask for . It can easily accommodate 12-15 people . The infinity pool was amazing . Highly recommend this property if you are travelling in a group of 10 or more & would like to stay a bit far from commercial places . It usually takes 25 minutes to reach ark bar & 15 minutes to reach fisherman’s village . Special thanks to our host anna . She is an amazing host . She would arrange taxis for us , manage our meals ( breakfast and dinner ) & was extremely polite and helpful . Everything was perfect here .. Fantastic breakfast by Anna. Her hospitality is so good. Everything arranged by her. Big room with comfortable bed. Beautiful scenery. Worth every penny. View was amazing! Transport was easily organised. 5 min walk from Gheko bar - def recommend. Everything was perfect, the staff is very kind, rooms comfortable and the wiew is something amazing!!! Perfect quality/price ratio Highly reccomend! Beautiful view, excellent breakfast, spacious rooms, comfortable beds, amazing pool! Nice, brand new kitchen. Host always available to help, she even organised an island tour for us. There is nothing to complain about. L'endroit est magnifique, la maison est grande et bien équipée. Ana a été super et nous a fait des petits déjeuners de rêve. Nous avons passé de supers moments. Lock in a great price for Baan Napoli Luxury Villa – rated 8 by recent guests! 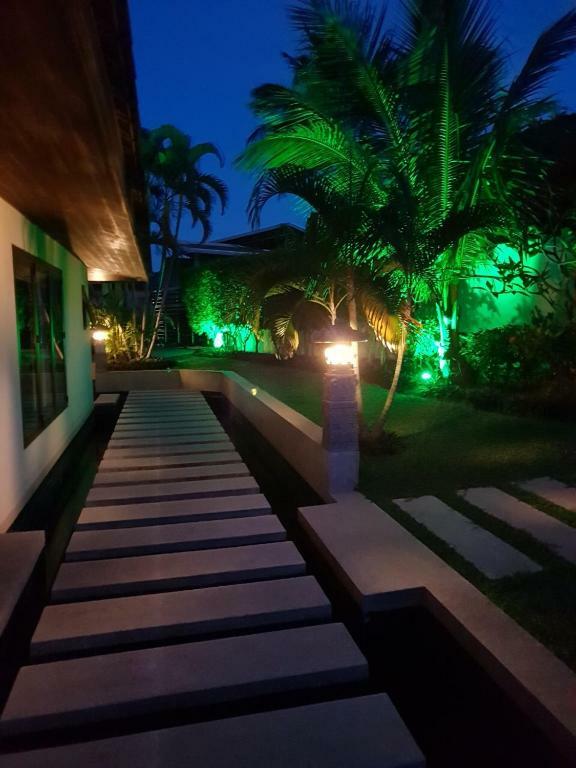 Baan Napoli Luxury Villa This rating is a reflection of how the property compares to the industry standard when it comes to price, facilities and services available. It's based on a self-evaluation by the property. Use this rating to help choose your stay! 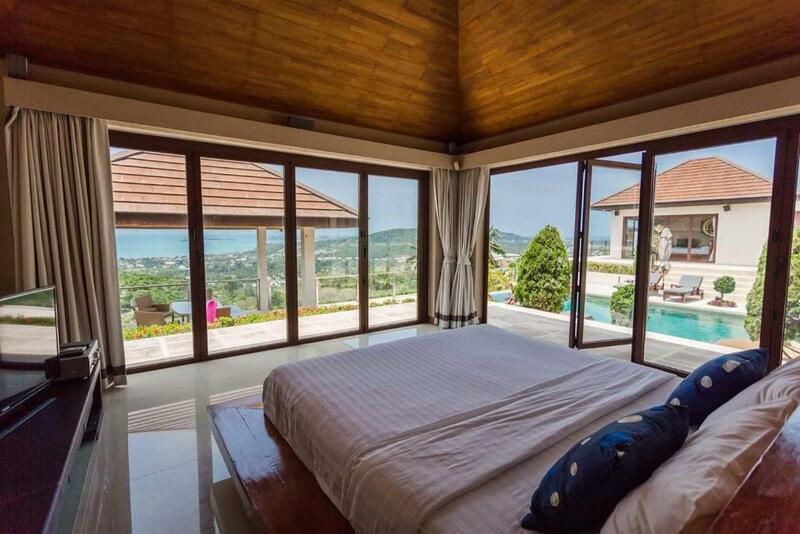 One of our top picks in Bophut.Offering an infinity pool and comfortable accommodations, Baan Napoli Luxury Villa is located on a hill near Bo Phut. Free WiFi access is available throughout. Boasting sea views, the property will provide you with a fully-equipped kitchen, a dining area and a living room. Other amenities include a flat-screen cable TV, a DVD player, a washing machine and barbecue facilities. 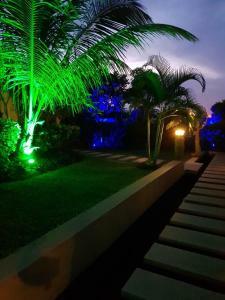 A quality sound system and speakers are provided, with additional options of HDMI and iPhone connections. Featuring a shower, private bathroom also comes with a bath and a hairdryer. 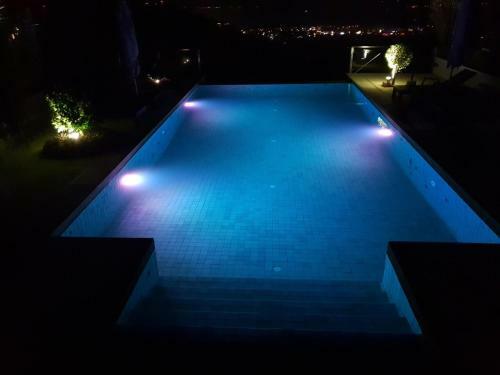 At Baan Napoli Luxury Villa, the European management can make arrangements for car or motorbike rentals, a private chef service and event or party plans. For added comfort, a cleaning service is provided daily. An array of activities can be enjoyed on site or in the surroundings, including golfing and hiking. Guests enjoy free uses of 2 scooters at the property. 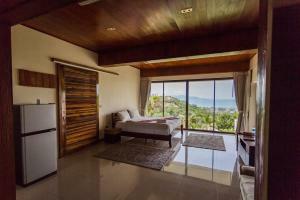 The property is a 2.5 mi drive from Fisherman's Village and a 4 mi drive from Central Festival Samui. 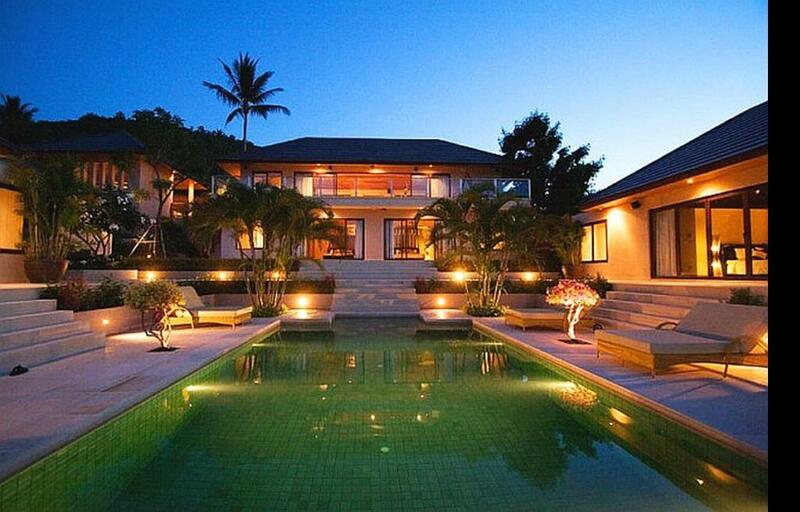 Samui Airport is a 20-minute ride away and the property provides private parking on site. When would you like to stay at Baan Napoli Luxury Villa? Boasting sea and mountain views from the terrace, this air-conditioned bungalow is provided with a fully-equipped kitchen, a dining area and a living room. Other amenities include a flat-screen cable TV, a DVD player and a washing machine. Featuring a shower, private bathroom also comes with a bath and a hairdryer. Boasting pool and sea views from the room, this air-conditioned suite is provided with a fully-equipped kitchen, a dining area and a living room. Other amenities include a flat-screen cable TV, a DVD player and a washing machine. Featuring a shower, private bathroom also comes with a bath and a hairdryer. 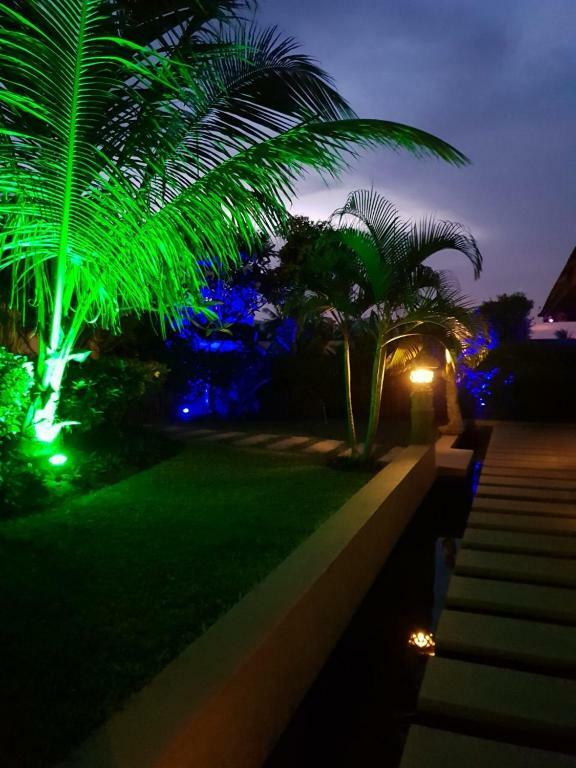 Featuring an infinity pool, garden, sea and mountain views, this air-conditioned villa comes with a fully-equipped kitchen, a dining area and a living room with multimedia. A DVD player, table tennis and a washing machine are also included. Its private bathrooms is complete with a shower,a bathtub plus hairdryers. Please note that the rate does not include electricity consumption. The usage costs THB 14 per 1 Kilowatt; guests are requested to pay the bill upon check-out. This apartment features a balcony, barbecue and toaster. This bungalow has a balcony, dining area and washing machine. We have been living in Samui for quite a while and together with our Thai property manager, we are able to help you with anything that you might want to do on the island or visiting other places, arranging chef, car or bike rental etc. House Rules Baan Napoli Luxury Villa takes special requests – add in the next step! Please be informed that the property requires a 20% deposit of the total amount of reservation via bank transfer to secure your reservation. The property will contact you after you book to provide any bank transfer instructions. Upon arrival, guests will be asked to provide a copy of a guest's passport to the property's manager. Please note that room rates do not include an electrical usage fee. The electrical fee will be charged at THB 12 per electrical unit. 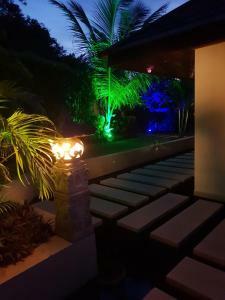 Please inform Baan Napoli Luxury Villa of your expected arrival time in advance. You can use the Special Requests box when booking, or contact the property directly using the contact details in your confirmation. Location is the only problem . Its situated on a hill . Taxis don’t agree to go there late night and if they do they charge a lot . Nothing to do much around the villas as all the bars are located 20 minutes from the villa . Geko bar is recommended, thats just 400 meters from the villa and the only thing around there . Issues with paying on card - had to call the owner directly in Belgium. It was easily resolved by paying with paypal but make sure payment methods are clarified on arrival.